There are a couple of ways smartphone makers can increase battery life on a smartphone. Either it gets a bigger battery or it uses software optimisation to cut down on unwated usage. Sometimes, such optimisations can get overly aggressive to a point that your important apps suddenly stops running. Imagine not being able to receive crucial notifications until your screen is switched on or when you relaunch the app. To pressure manufacturers to stop doing this unnecessary app killing, there’s now a site called “Don’t Kill My App” that highlights the top offenders. According to them, these manufacturers are actually turning their smartphones into dumbphones. Natively, Android has implemented a couple of battery saving features such as Doze and Adaptive Battery. However, some manufacturers took the extra step by implementing their own “battery saver” feature which could cause a lot of frustration for most users. 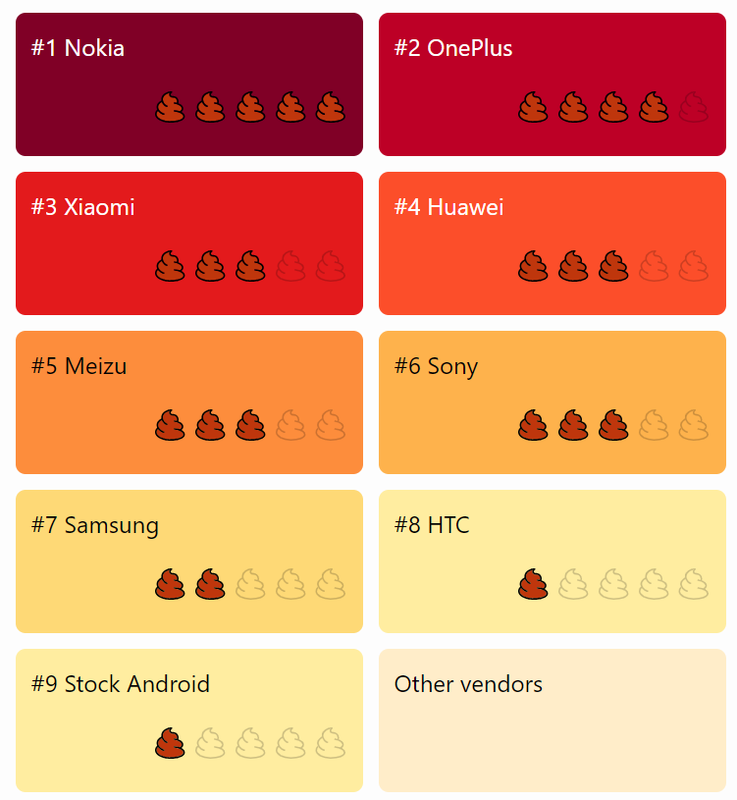 According to the site, Nokia is the top offender followed by OnePlus and Xiaomi. 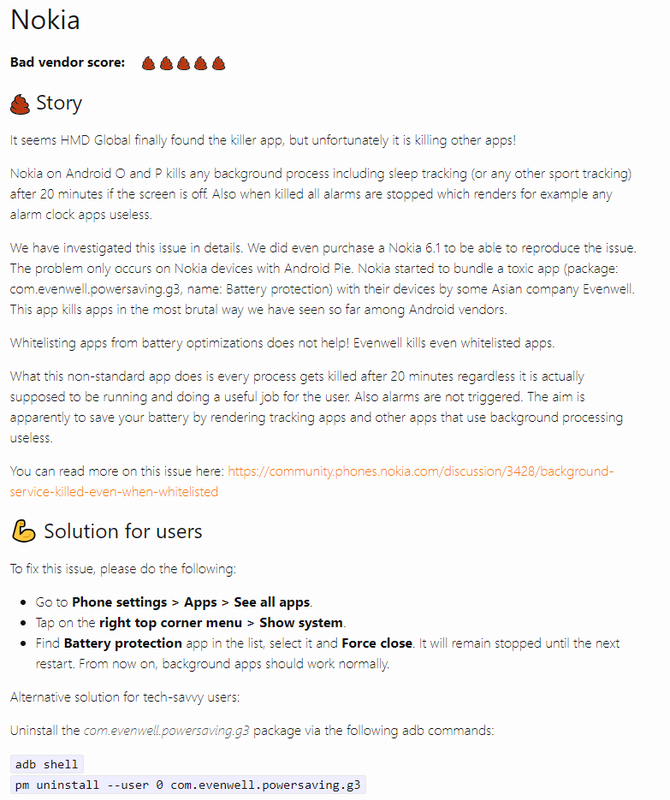 For Nokia, their battery protection on Android O and Android P will automatically kill any background processes including sleep tracking and alarm after 20 minutes when the screen is off. That’s quite surprising considering it is an Android One device. The better experiences are from Samsung, HTC and obviously stock Android. If you have issues with unwanted app-killing, DontKillMyApp.com also provides solutions for each manufacturer which include Nokia, OnePlus, Xiaomi, Huawei, Meizu, Sony, Samsung and HTC. 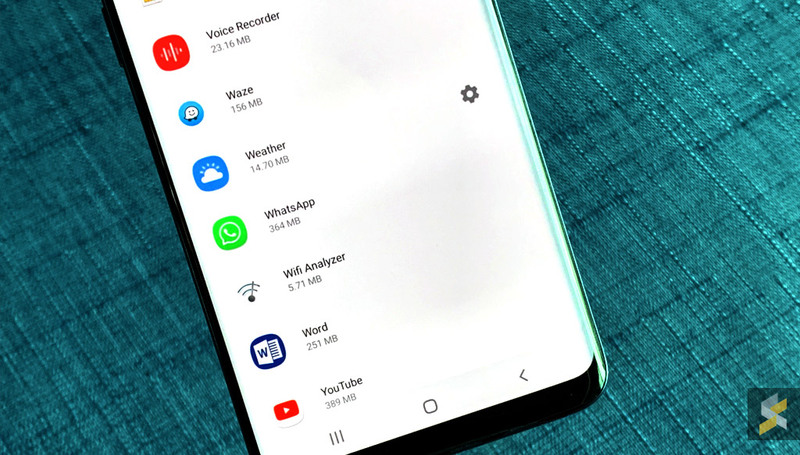 Obviously, doing this might potentially shorten your current battery life but this will ensure that your important apps are running the way it should. For more info, you can check out DontKillMyApp.